Showing results by author "Karl Robb"
Whether you are newly diagnosed or have had Parkinson's disease for many years, or you are younger or older, the lessons that Karl Robb offers in this audiobook will apply to your situation. 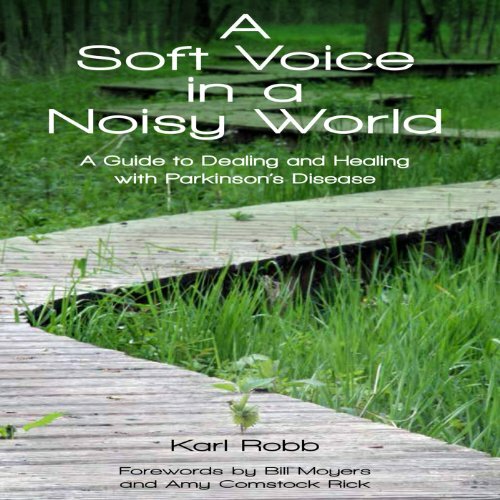 A culmination of over twenty years of personal experience, in A Soft Voice in a Noisy World, Karl Robb provides an assortment of tips and suggestions that have made a difference in his life and benefitted him in his personal struggle with PD. For every PD sufferer and caretaker. Must read! !